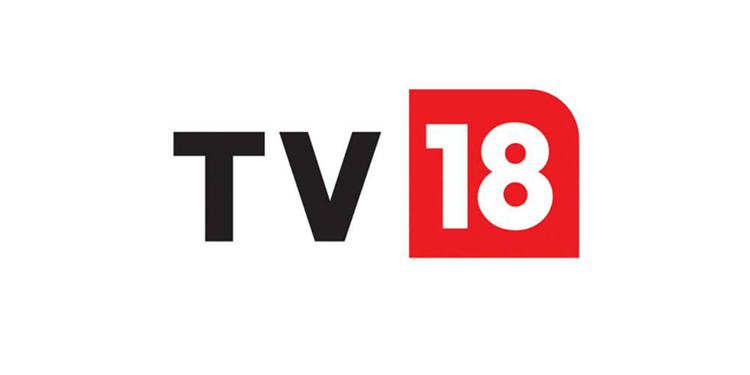 Mumbai: TV18 Broadcast Limited today announced its results for the quarter and financial year ended 31st March 2019. FY19 ex-film revenue rose 8% YoY on continued regional growth and a reviving ad environment. Implementation of New tariff order impacted Q4, dragging full-year growth; but is likely to be a medium-term positive. FY19 EBITDA was up 30% YoY despite Rs 114 Cr investments into new regional channels and digital expansions (VOOT International & Kids). Regional News gestation losses compressed by 42% YoY. Business-as-usual Entertainment EBITDA margins rose to 9% (vs 5%). Q4FY19 ex-film revenues dipped 6% YoY (headline revenue was down 23% due to movie ‘Padmaavat’ last year), led by flux around implementation of the new tariff order, and Nidahas trophy cricket and other live events and union budget coverage in the base quarter which were absent this year. Advertisers pulled back spends due to lack of stable viewership data. Viewership has been impacted for all major broadcasters as process of consumers choosing channels/packs and on-ground realignments in distribution value-chain are still underway. This has led to volatile viewership (BARC did not publish data from Week 5 – Week 12 2019), which is expected to take some more time to settle. Gross subscription revenue growth has been impacted too, as subscriber base has yet to normalize due to implementation challenges. We have increased our marketing intensity, as consumers are in the midst of exercising their choice. However, subscription dynamics are likely to improve in future as the broadcasting business moves to B2C (pull-based) rather than B2B (push-based). Our channels (through ‘Colors wala pack’ as well as distributor packs) have witnessed strong uptake in this transition phase; led by breadth of content at a value price-point, and improved distribution tie-ups. Shifting of Free-To-Air (FTA) GECs to Pay: FTA GEC Rishtey and Hindi movie channel Rishtey Cineplex were withdrawn from the DD Freedish platform. We re-launched these from 1 st Mar 2019 as pay-channels Colors Rishtey (with some original programming) and Colors Cineplex (with a reinforced movie library) respectively. Cineplex now plugs the whitespace we had in the pay Hindi movie genre. Moving away from Freedish distribution impacted their reach and consequently hurt late-Q4 viewership and ad-monetization. However, we believe that in the new tariff regime pay-channels shall have better consumer connect as well as (restated for current structure of ownership) Q4FY19 Q4FY18 Growth FY19 FY18 Growth Consolidated Operating Revenue (Rs Cr) 1,182 1,540 -23% 4,943 4,813 3% Revenue Ex-film production 1,133 1,211 -6% 4,727 4,364 8% Consolidated Operating EBITDA (Rs Cr) 52 67 -23% 314 241 30% TV18 Q4 FY19 Investor Update- 15th April, 2019 Page | 2 distribution economics in the medium-term. This shall also improve the monetisation of primary pay-GEC Colors, which had faced some viewership/ advertiser cannibalisation. News bouquet (20 channels) maintained its #1 position: TV18 News still retains its leadershipØ even versus FTA peers despite being a pay-network. TV18’s viewership share in news was 11.5% (pre-NTO). Viewership share has fallen to 9.3% in last week of March-19. National News revenue was near-flat, as Business News was especially impacted by the lack of a Union budget this year on account of elections (FY20 will now likely have 2 budgets). Improved performance of Hindi News and growing election-linked ad-spends countered genre pressures in English & Business news, impact of NTO, and new launches by competition. Regional News losses have shrunk 32% YoY to Rs 20 Cr led 6% YoY revenue growth on Government/ election-related ad-spends. Active cost control and efficiencies of scale also played a key role in reducing the drag of our 8 regional channels launched over FY15-17. Our share of entertainment viewership rose to 11.7% (pre-NTO). Post NTO and shift from Freedish, the viewership share of top 4 broadcasters (ex-sports) readjusted by 2 to 4% each, and our viewership share is 8.6% presently. Entertainment headline revenue fell 29% due to movie Padmaavat in the base. Ex-film revenue fell 9%, primarily due to Nidahas trophy Cricket and Other live events in base, and shifts in timeline of non-fiction programming in Hindi GEC. Regional entertainment channels continued their viewership and monetization improvements across most of our geographies. Business-as-usual EBITDA up 12%: EBITDA was dragged by NTO/Freedish shift impact and new initiative investments into Colors Kannada Cinema and VOOT expansion (International and VOOT Kids). Adjusting for Rs 24 Cr operating losses of these new initiatives, BAU EBITDA was Rs 44 Cr, up 12% YoY. BAU margins for Entertainment grew to 5% from 3.2% in Q4FY18. Entertainment EBITDA also encapsulates investments into projects that were launched more than 1 year ago but are still under gestation.